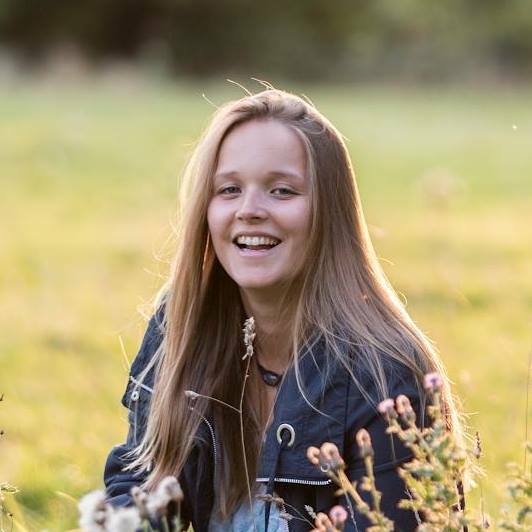 I am very pleased to introduce this article from Phoebe Tickell – Course Development Manager at Fritjof Capra’s Capra Course. As many of you will know I worked with Fritjof on the development and launch of the course, work which started in 2015. As the course expanded the team grew and it now consists of Fritjof, Phoebe and Mira, with myself leaving the team earlier last year due to project commitments here in Brazil. It has been wonderful to see so many people benefiting from Fritjof’s teachings and also gathering via the alumni network to develop new projects which are inspired by the systems view of life. As the days start to grow shorter, and the leaves on the trees begin to slowly shift to reflect the colours of the sunset… It’s that time of year again! 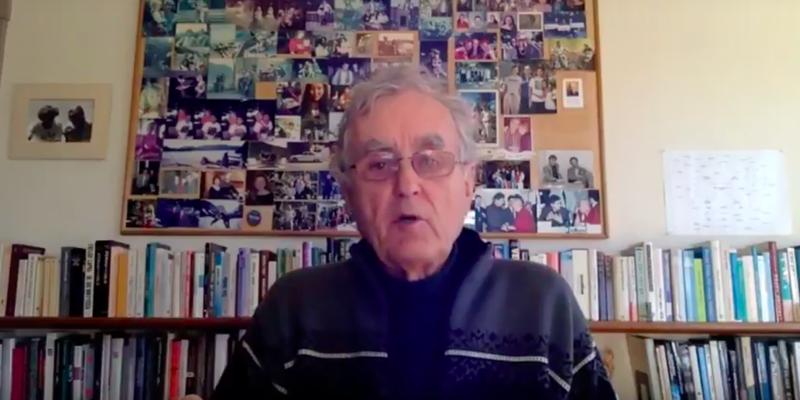 As many of us around the world return to work after the summer holidays, young people return to school and undergraduates start a new year or return to university, a new community at Fritjof Capra’s Capra Course is about to form. For those of you who may not know about Capra Course already, the course is a 12-week deep dive into the Systems View of Life, systems thinking, and science & spirituality. It is a synthesis of 30 years of scientist and activist Fritjof Capra’s thinking and research into a conceptual framework integrating the biological, cognitive, ecological and social dimension. This is what Fritjof calls “The Systems View of Life”. At the core of this new understanding we find a fundamental change of metaphors: from seeing the world as a machine to understanding it as a network. Why this is particularly important is that we are currently suffering a crisis of perception. The very way we perceive the world, the way we perceive Nature, and each other, is leading to the visible crises that confront us every day. One could argue that we already have all of the technology and tools needed to make life work on Earth for everybody and every living thing, without destroying the planet. Instead, we see a crisis of both ecological destruction and economic equality which both lead to the challenges we need to solve today. The Systems View of Life provides a scientifically rigorous synthesis of a new conception of life – which represents a change in paradigms from the mechanistic to the systemic view of life. The metaphor we use to understand the world shifts from machine to network. Relationships come to the forefront and become the connecting pattern that keeps the entire material world in connection. We can start to perceive the Earth as a whole, living, self-regulating system. Evolution is no longer seen as a competitive struggle for existence, but rather a cooperative dance in which creativity and emergence of novelty are driving forces of innovation. There is an emphasis on appreciating complexity, nonlinearity, and patterns of organisation, shifting from a quantitative to a qualitative appreciation of science. When this is the lens through which we see the world, suddenly it becomes impossible to pollute the rivers, or throw plastic in the ocean, or buy clothing manufactured by sweat shops on the other side of the planet. Actions fuelled by greed, self-interest and carelessness become more difficult. Suddenly, when considered in the interconnected whole, these impacts are intrinsically tied to me, and you, and everything that we love. Every action has consequence. We move away from being able to participate in the exercise of “othering” and instead embrace what famous Vietnamese monk and peace activist Thich Naht Hanh calls “interdependence”, or “I am because you are”. When Fritjof first envisioned the Capra Course, he had in mind a vision of a globally connected network of practitioners who understand this shift in paradigm, and practice systems thinking in their work, life and projects. Now, five iterations of Capra Course later, this vision is truly becoming a reality. With practitioners joining from all over the world, and connected by modern-day technologies, the global network is bringing itself into being. Most excitingly, perhaps, are the Alumni self-organised in-person meet-ups and tangible projects. Just this last few months, there have been gatherings organized in Italy, UK, California, New York, and one group of Alumni are speaking about organising a conference together in India next year. Fritjof himself was able to attend many of these too. Recently, we have started to host regular online Alumni Zoom Call Gatherings, with attendance of 70 or 80 Alumni both times. During the call, Fritjof would kick things off with a sharing of his recent reflections and updates from the Capra Course community. There would be a live Q&A session with Alumni, and then we passed on to one or two Alumni to host online workshops and discussions. 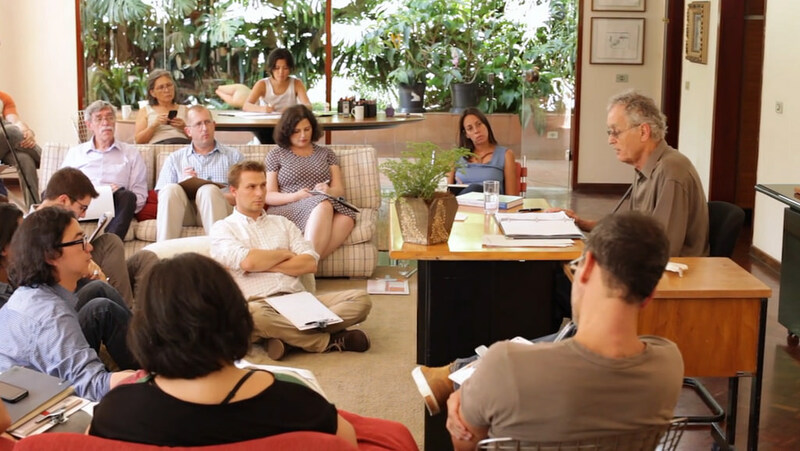 This participatory nature of the Capra Course community is what brings it alive. During the call and afterwards on our online platform, Alumni made offers and requests of collaborations on projects, ranging from eco-literacy curricula for schools, all the way to proof-reading and editing newly written books, and many other projects and links to work were mentioned and shared. You can tune in to hear Fritjof’s reflections on the recent August Alumni Zoom gathering here: vimeo.com/291118460. Fritjof shares updates from our Alumni, and projects emerging from the Alumni community. One of these is a project initiated by Italian Alumni to produce an Italian version of Capra Course. Fritjof also shared about his talk at the Climate Action Summit in San Francisco, and about our new Capra Course Webinar series. The Webinar series has been a real success, and a very exciting part of Capra Course. a These are a series of monthly free webinars that we are hosting within the framework of Capra Course. These feature Fritjof in conversation with friends and colleagues about their work and life. On our most recent webinar we were fortunate enough to be joined by Transition Designer Terry Irwin. Terry is the Head of the School of Design at Carnegie Mellon University, Pittsburgh. Her research is in “Transition Design”, a relatively new discipline and area of design research, study and practice that was created by Terry and two colleagues (one is her husband) in 2013. 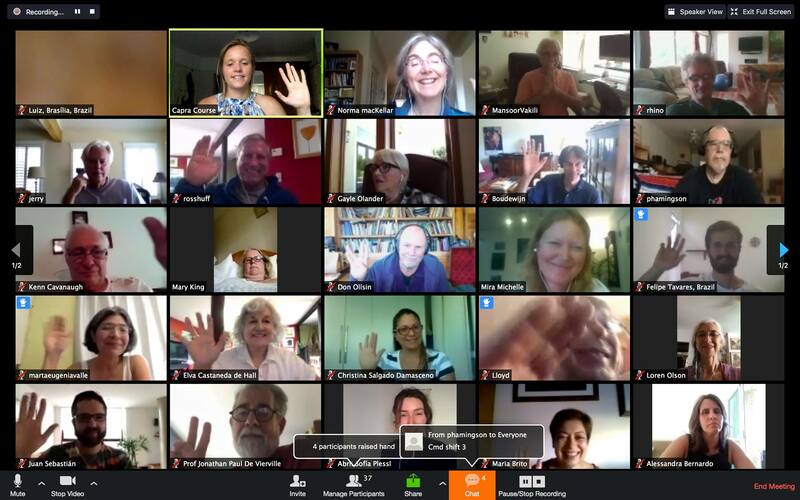 The webinar reached a total of 74 participants, who were joining us from all over the world… Participants reported calling in from the Portland, Canada, Sweden, Netherlands, Portugal, Florida, Australia (at 2am! ), California, Costa Rica, Texas, Colombia, Germany, Switzerland, Michigan, New York, Austria and Italy… A truly international crowd. The recording of that webinar, and others, can be found on our Capra Course Vimeo account. The link to the conversation with Terry is here: vimeo.com/289414868. We are anticipating some very exciting guests – including scientists, practitioners and educationists all working in the field of systems thinking. One part of my work with Capra Course that excites me most is the work we are doing to partner with mainstream universities to embed Capra Course and systems thinking into their curricula. It’s very exciting to witness the appetite for new ways of thinking in our current education system, and the potential reach of working in this way is huge. In particular, I am excited about a growing partnership and collaboration with the University of Wisconsin-Stevens Point with Capra Course alumnus Joy O’Neill. We hope to be hosting Joy on one of our Capra Course Webinars in the coming months to speak more about this partnership. We’re very excited that the (third) Fall Edition of Capra Course will commence tomorrow on the 26th September. We are looking forward to welcoming a truly global cohort, with representatives from the USA, Australia, India, Italy, Poland, Romania, UK, Spain, France, Switzerland, Sweden, Norway, Mexico, South Korea, China, Canada, Israel, Costa Rica, and still more signing up. As usual, we will leave registration open for 2 weeks following our start date to allow for last minute participants to join us. We still have some spaces left, so please do share news of Capra Course with your friends, colleagues and families. The link to sign up can be found at capracourse.net/info, and you can reach out to Mira or Phoebe by email to discuss group packages and discounts. Lastly, the Capra Course Team had a special moment last week during the Climate Action Summit. After many months of working together mainly online, the team converged in San Francisco and managed to all meet at once! Above is a photograph from that meeting, and with that we send you our best wishes and hope you will join us on the course this Fall!